Beer Bottles Moved On A Brewery Conveyor. Factory Facility Interior. 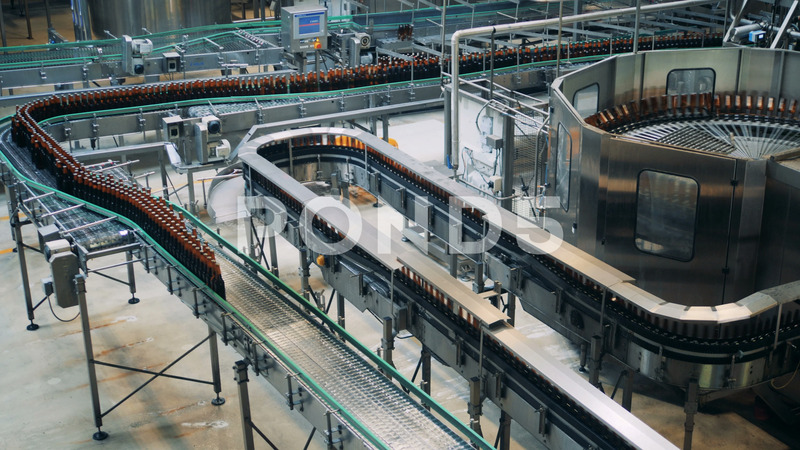 Description: Bottles with beer going on a conveyor at a brewery.